Wanted to make a last couple of cards for the Hero Arts contest, and make one of them feminine and the other masculine. 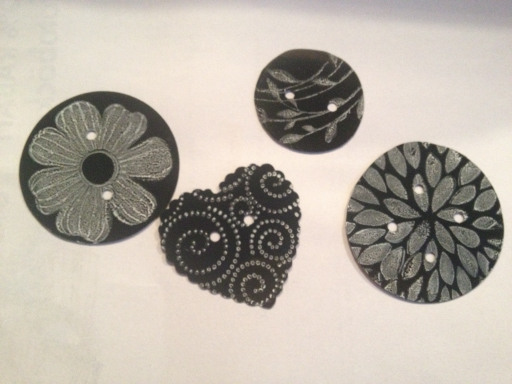 Also wanted to make my own embellishments. 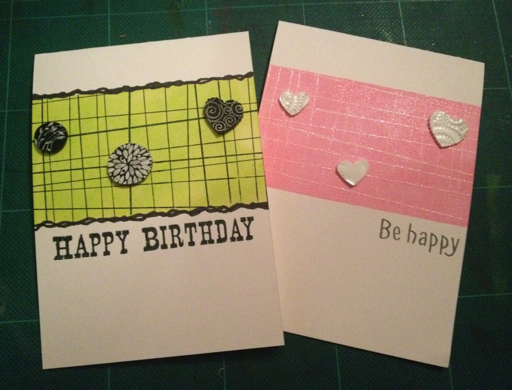 Started off with masking the white cards like my inspiration from the Craft Stamper article. Then I took pink VersaColor on one and lime on the other. 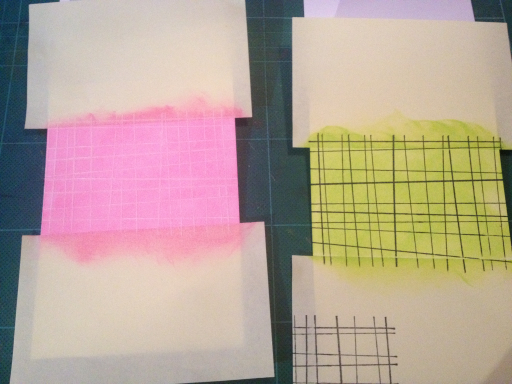 Then the lime one got black HA Modern lines, and the pink white with clear emboss. 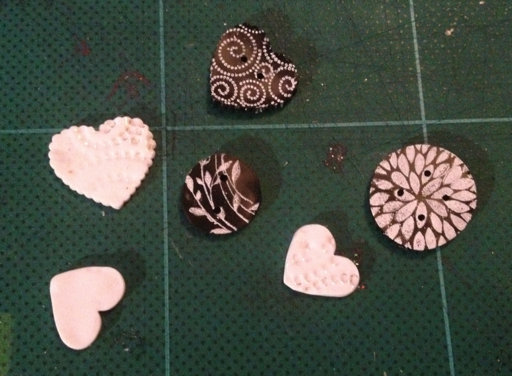 Then I made the buttons out of shrink plastic cut into circles and hearts. The blacks are stamped with different HA stamps in brilliance moonlight, and the whites just embossed with the HA Magical bg. 1st picture is before the shrink, the 2nd after.